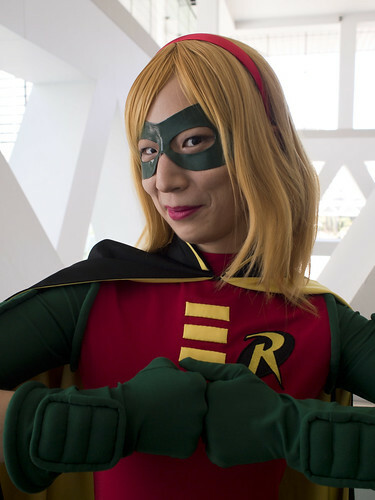 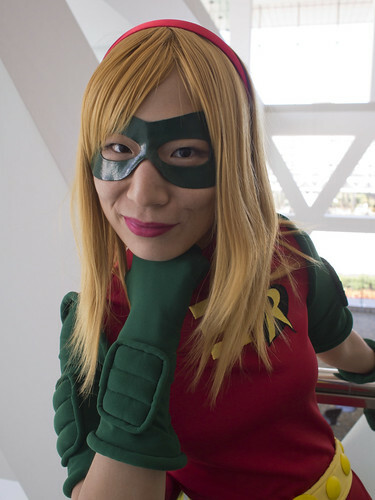 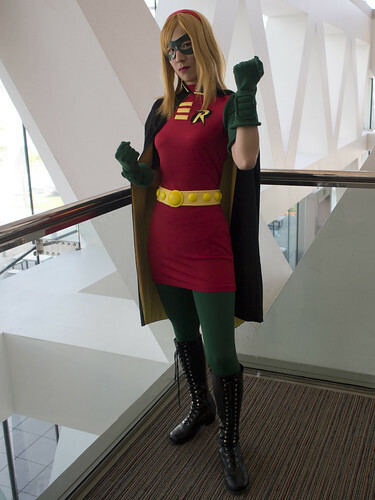 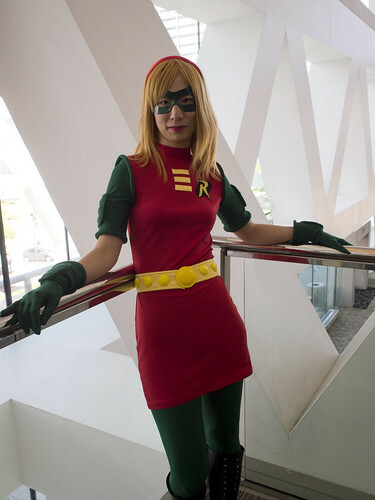 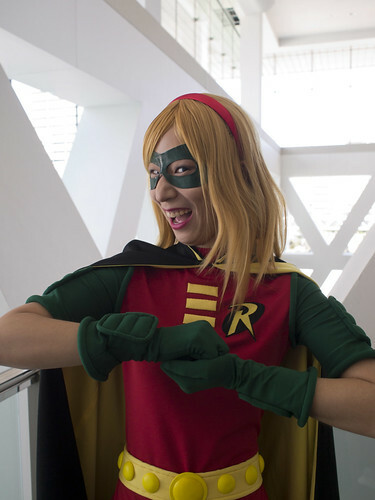 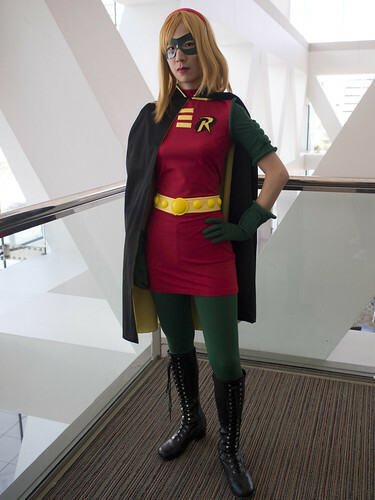 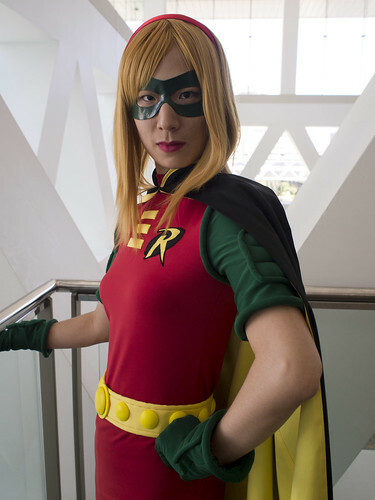 This was my first wearing of Stephanie Brown Robin. 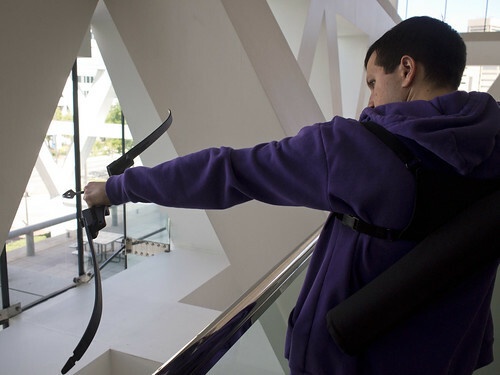 Overall, thumbs up. 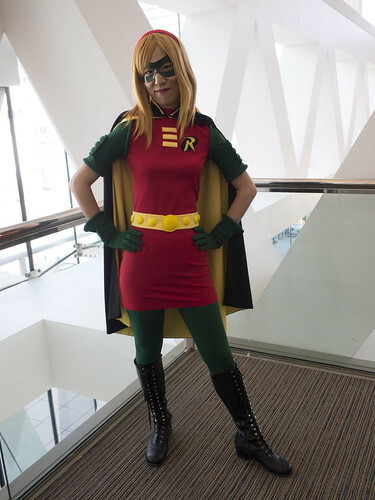 The dress and leggings were pretty comfortable, while the wig with the mask didn’t bother me too much. 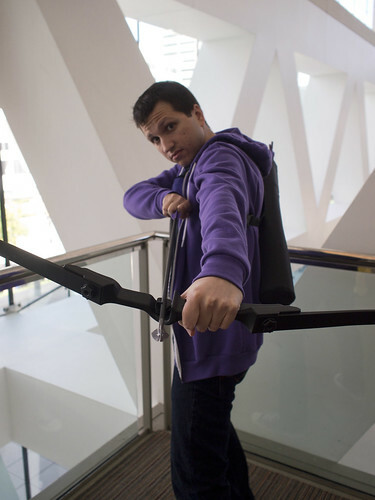 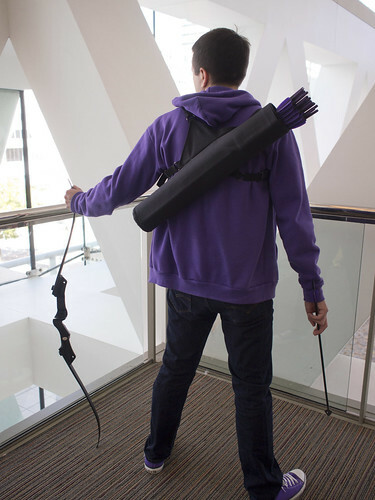 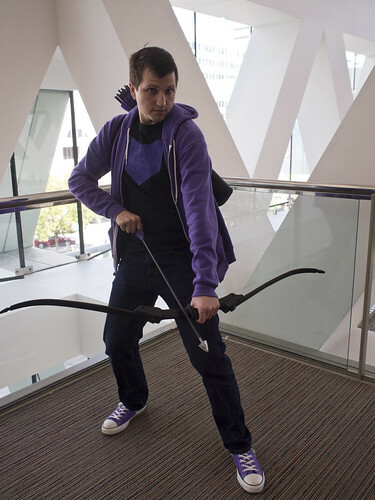 Mike wore another variation on Hawkeye, this time with a new broadhead arrow that he crafted from Worbla and a wooden dowel. 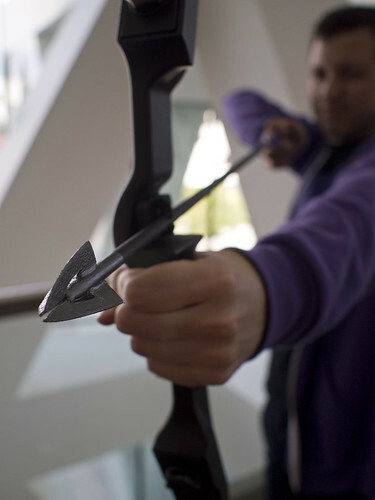 Mike has been trying to make a convention-safe broadhead for quite a while, so it was great that he finally made one!